With the Brazilian cattle market hit by concerns over safety and fraud, investors should look to its South American neighbor Paraguay for a resilient cattle – and agricultural – growth story, says Roberto Vitón, managing director at Valoral Advisors, an investment advisory firm specializing in food and agricultural assets in Latin America. In the last ten years, Paraguay has doubled its beef exports to 380,000 metric tons carcass-weight equivalent and is now the world’s seventh largest beef exporter, and the second largest in South America behind Brazil. The South American country has consistently expanded production and export of grass-fed quality beef thanks to vast natural agricultural resources, conducive weather for sub-tropical pastures, good sanitary status and supportive business rules. Grass-fed beef from Paraguay – typically a mix of Hereford, Angus and zebu – is seen as higher quality and more tasteful than meat from neighboring Brazil, which is typically sourced solely from zebu cattle. Development has also been accelerated by investment in farmland by neighboring countries such as Uruguay and Argentina, and overseas from countries such as Germany, Belgium and the US. Despite this, the cattle market has long been overlooked by agricultural investors. Out of 40 existing farmland funds in South America, only eight of them are focused on cattle raising, and just one in Paraguay. The majority of funds active in South America to date have invested in mainstream row crops across Argentina, Brazil and Uruguay, and more recently have been targeting permanent crops along the Andean region. But so far, many have missed the cattle opportunity. 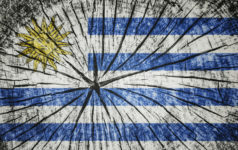 One fund manager which has moved to exploit the opportunity is Latam Farms, which runs agricultural and cattle operations across Argentina, Uruguay and Paraguay. The firm manages the Latam Farms Series 001 LP fund, which has acquired 8,000 hectares in the north-western area of Paraguay, a region where soil and weather conditions are conducive to grass-fed operations that achieve some of the highest weight gains in the world. The firm is using the land to develop a grass-fed and grass-finished cattle production system. In a sign of Paraguay’s cattle market potential, Latam Farms has been attracting interest from American and European investors looking to add agricultural real assets to their portfolios and to diversify away from their core markets, a number of which face increasing financial and political uncertainties. While investors may have been slow to recognize Paraguay’s cattle market strengths, consumers have been quicker. The country is a major exporter to Russia, Chile and Brazil among others, and in Europe, beef distributors have been sourcing Paraguayan beef since the country was granted access to the EU market in 2015. But Paraguay is not just a beef story. More broadly, the agriculture sector makes up a significant portion of Paraguay’s economy and exports: the country is a major producer and exporter of soybean and organic sugar and is increasing its forestry area, thanks to growing conditions well-suited to eucalyptus and other tree varieties. Allied to average GDP growth over the past five years of 4.8 percent, the highest among the largest Latin American countries, and an economy proving resilient in the face of volatile external conditions, such as the contraction of the Brazilian economy and the fall in soybean prices, now is a good time for investors to take a closer look at Paraguay’s agricultural opportunities.